A close brush by a passing typhoon on its opening day aside, NaviForum Shanghai 2010 mustered an impressive slate of senior executives from Chinese companies working in the navigation and telematics/location based services (LBS) field. The NaviForum presentations clearly revealed that many Chinese companies are eager to get involved with Compass — indeed, a number already have. For its part, the Compass program office appears to see promotion of Compass applications and technical support of Chinese industry as a part of its mission — not unlike counterpart organizations in the other GNSS provider nations. Meanwhile, a high-level U.S. delegation to NaviForum Shanghai added a little drama of its own by unambiguously expressing the Obama administration’s interest in opening a bilateral GNSS dialog with China (see accompanying article here) — a marked departure from previous policy. China’s satellite navigation program has inserted itself energetically into the GNSS world during the past three years and took center stage at the NaviForum Shanghai 2010 conference. That came as no surprise, as the China Second-Generation Satellite Navigation System Project Management Office (Compass Program Office), served as one of the main hosts for the event. Also known by its Chinese name, Beidou, the Chinese GNSS system had received top billing in the event’s advance promotion. What was somewhat surprising, given the sponsoring institutions, was that the discussion focused less on the Compass program itself and much more on the relationship between the program and China’s industry’s role. Almost between the lines, representatives of the Chinese GNSS program also revealed a growing awareness of the technical and policy challenges of implementing an advanced and complex system such as Beidou. Perhaps as a response to this, the Compass program appears to be reaching out to find allies among the nation’s domestic high-tech industries. 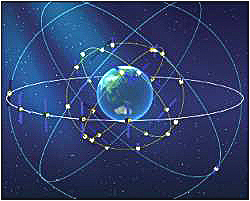 China refers to its program as Beidou-2, reflecting the second-generation aspects of a system that began in 2000 with a substantially different technical design and scope from the GNSS initiative launched in 2007. With three launches this year (and another one planned in 2010), Compass has five Beidou-2 spacecraft on orbit and plans for a dozen or more by 2012, when it expects to complete a regional system. The NaviForum presentations clearly revealed that many Chinese companies are eager to get involved with Compass — indeed, a number already have developed or are designing equipment that can process the Beidou-2 signals. A panel discussion moderated by Cao Chong, director of China’s Beidou Civil Application Market and Industrialization Experts Commission, focused on the major challenges and opportunities for promoting Compass applications. For its part, the Compass program office appears to see promotion of a Compass civil market and technical support of Chinese industry as a part of its mission — not unlike counterpart organizations in the other GNSS provider nations. He listed the three main tasks of the program as satellite constellation design including completion of the space and ground segments, facilitating user applications, and providing technical support to entrepreneurs building GNSS user equipment that can use Compass signals. Ran predicted that by 2012, Compass would be widely used in intelligent transportation system (ITS) applications, including monitoring systems for land vehicles and maritime vessels and the transmission of secure and reliable real-time information to on-board devices — such as traffic flow data, blockages, construction, and accidents reports. In fact, this year’s event was combined with the ITS Shanghai exhibition taking part in an adjacent portion of the conference’s Shanghai Exhibition Center venue (in another era, the Sino-Soviet Friendship Hall). The Shanghai International Exhibition Company organized both events. Meanwhile, engineers at the Compass program office are focusing on improving the precision and stability of Compass positioning, Ran added, and supporting the central government in implementing policies and regulations concerning Compass and GNSS. Hope for an early release of the draft interface control document (ICD) for Compass — a fourth revised version of the interface specification reportedly has been complete for nearly a year —remains unfulfilled, frustrating some companies’ efforts to design Beidou-compatible user equipment. Yang Qiangwen, a senior Compass engineer, acknowledged that the national government has still not reach resolution on the issue. “I have attended many meetings” on the subject,” Yang said. “One view is that the earlier, the better; another view is to create a buffer” before release of an ICD, he said. In earlier remarks during the panel discussion, Yang admitted that the task of designing and developing a GNSS system is not trivial. Although China came late to GNSS, the country appears to be making up for lost time. “The GNSS market is increasing 50 percent a year in China,” Cheng Congwu, AutoNavi Software’s CEO, told the opening plenary session, noting that the technology’s growth trajectory was closely linked — as in many other countries — with the mobile phone and automotive navigation markets. In a keynote address on the development of the satellite navigation industry in China, Cao suggested that China “might consider using a common signal” and called for “timely development of Compass” and more international cooperation. The industry panel moderated by Cao reflected widening interest in the China’s system as well as its integration with other GNSSes. Guo Xinping, president of Beijing Unistrong, acknowledged the lengthy legacy of GPS development from which later-arriving GNSS systems could learn. But Guo added that “GPS is far from adequate,” describing the failure of car’s to find enough satellites for a position fix as he drove through Shanghai’s urban canyons to the conference that morning. With a population of about 20 million, including an estimated 3 million migrant laborers, Shanghai is probably the leading commercial center of modern China — a status that actually goes back more than a century. Numerous companies in the city are involved in designing and manufacturing GNSS equipment, primarily L1 GPS receivers — both end user and OEM units — and high-precision dual-frequency receivers for professional and scientific applications. These include companies such as China HuaCe Navigation Technology Ltd., Shanghai Galileo Industries, and Beijing Unistrong Science & Technology Co., Ltd., a leading manufacturer of PNDs that has a large engineering and manufacturing presence in Shanghai. Earlier this year, Unistrong had a initial public offering (IPO) and is listed on the Shenzhen Small and Medium Enterprise board, having received a significant boost from the high-profile shareholder, Yao Ming, with the National Basketball Association’s Houston Rockets. Related industries, such as navigable digital map manufacturers, also populate the Shanghai area. AutoNavi Software Co. Ltd., the NaviForum’s previous organizer and current platinum sponsor, spun off a U.S. subsidiary with an IPO on the NASDAQ exchange last June. AutoNavi has about 2,000 employees, including 400 at an R&D center in Beijing. The company supplies more than 100 brands, and reportedly holds 80 percent of China’s automatic vehicle location system (AVLS) market, 50 percent of its in-vehicle automotive navigation systems, and 50 percent of portable navigation devices (PNDs) sold in the country. This concentration of GNSS-related technology enterprises has led to formation of the Shanghai Technology Innovation Strategic Alliance for Satellite and Positioning Industry, whose chairman, Yu Wenxian, addressed the opening plenary session at NaviForum Shanghai. The role of the alliance, said Yu, is to stimulate communications, popularize the GNSS industry to a wider audience, and advise and guide industries to support national GNSS strategies and policies. Of course, China’s GNSS industrial base reaches beyond Shanghai and has developed rapidly with the change in policy and national economic strategy over the past three decades. Cao Chong told the NaviForum audience that around 3,000 Chinese companies are involved in the navigation industry. Major players from the Beijing area, in addition to Beijing Unistrong, include Beijing BDStar Navigation Co. Ltd., the first Chinese enterprise authorized to provide operational services for the first-generation Beidou satellite navigation system. Last year, BDStar took a 70 percent share in setting up another Beijing-based venture, Unicore Communications, Inc., headed by Han Shaowei. Han is a former SiRF Technology vice-president of location technology and system-on-a-chip (SoC) engineering previously served as VP, engineering and advanced technologies, for Centrality Communications before its merger with SiRF. Beyond its indigenous base of engineers and industrialists, the Shanghai commercial nexus is reaching out further — to expatriate and ethnic Chinese throughout the world. Shortly before NaviForum, the International Association of Chinese Professionals in Global Positioning Systems (CPGPS) held a technical forum in the city on August 18–20. The CPGPS event was co-hosted by the Science and Technology Commission of Shanghai Municipality, one of NaviForum’s hosts, along with the National Remote Sensing Center of China (NRSCC), part of the Chinese Ministry of Science and Technology (MOST). The MOST’s Department of High and New Technology Development and Industrialization also served as a host organization for NaviForum Shanghai. As has been common to the history of all GNSS programs, China appears to be trying to figure out how to give its own product designers and manufacturers a head-start in the marketplace while encouraging a broader interest in use of Beidou-2. Presentations on the NaviForum agenda and conversations during the conference and exhibition revealed a number of Chinese companies that have begun developing Compass-capable equipment despite the absence of an officially published ICD.